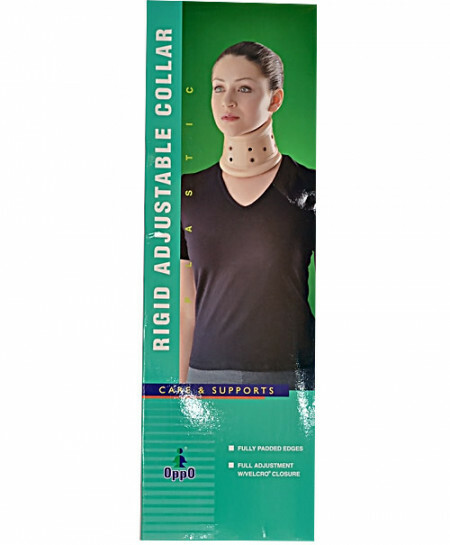 • Semi-rigid support for use with soft tissue damage, osteoarthritis and whiplash injuries. • Completely height-adjustable to provide flexion or extension positioning. • Vinyl-covered foam padding for patients comfort and easy cleaning. • Adjust the height of the cervical collar using the adjustable hook and loop straps to decide proper position of the head, then apply the collar to the neck. • Make sure the head and neck of patient are in neutral position before attaching the hook and loop closure. • Fasten the hook and loop closure securely.